The Texas three (3) day notice to cure or quit is used when a tenant has committed a lease violation other than non-payment of rent. 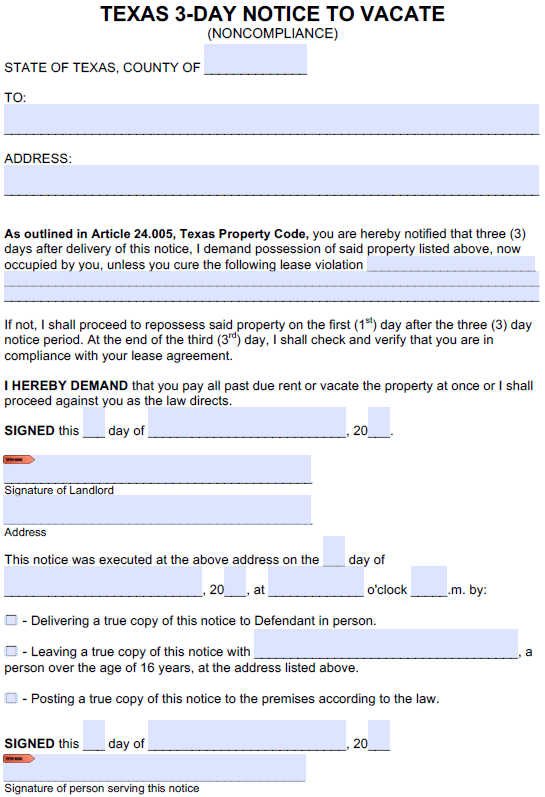 The notice allows the tenant three (3) days to either cure the violation(s), or vacate the rental unit. If the tenant does not comply with the notice (fails to remedy the violations or does not move out), the landlord can then file an eviction action in the local justice court.